The opioid epidemic is paralyzing the workforce. Even with 6 million open jobs across the country, rampant drug abuse has "incapacitated thousands of working-age people whom employers would otherwise be eager to hire," Lydia DePillis reports for CNN. Research published in September by Princeton University economist Alan Krueger found that the rise in painkiller prescriptions from 1999 to 2015 led to a 20 percent drop in men’s workforce participation and 25 percent decline in women’s participation, especially in Appalachia, the Rust Belt, coastal Washington, northwest Arkansas, and central Maryland. As a result, "Some employers that typically screen drug users out through testing are starting to become less picky," DePillis reports. "Such tolerance is not an option for all employers. Jobs that involve working with children typically bar people with criminal records. . . . Construction companies, too, are less likely to take the risk of hiring someone who might come to work high and make a fatal mistake while on a ladder or using heavy equipment." In its annual economic report, President Trump’s Council of Economic Advisers wrote "curbing the opioid crisis is of critical importance for ensuring a stable or growing employment rate among prime-age workers." Here's a roundup of stories with rural resonance; if you do or see similar work that should be shared on The Rural Blog, email us at heather.chapman@uky.edu. The latest episode of Banking Journal, a podcast from the American Bankers Association, tackles a little-recognized problem for rural America: the shortage of qualified appraisers. It's hard enough to get people and businesses to move to rural America, but those who want to buy a farm or commercial real estate in rural America can face waits of several months while lenders wait for the appraisals. It can harm younger would-be farmers who want to buy in, since sellers might sell for a lower price to an older farmer who has more cash up front. There are significant barriers to entry for potential new appraisers as well. Read more here. Black-lung disease is often thought of as something that mostly hits Appalachian coal miners, but New Mexico is seeing a surge in the disease as well. Dr. Akshay Sood, the Miners’ Colfax Medical Center Endowed Chair in Mining-Related Lung Diseases at the University of New Mexico, said "We’re not only a hotspot for black lung; we’re also a hotspot for silicosis, other pneumoconiosis, sarcoidosis, and interstitial lung disease." Read more here. 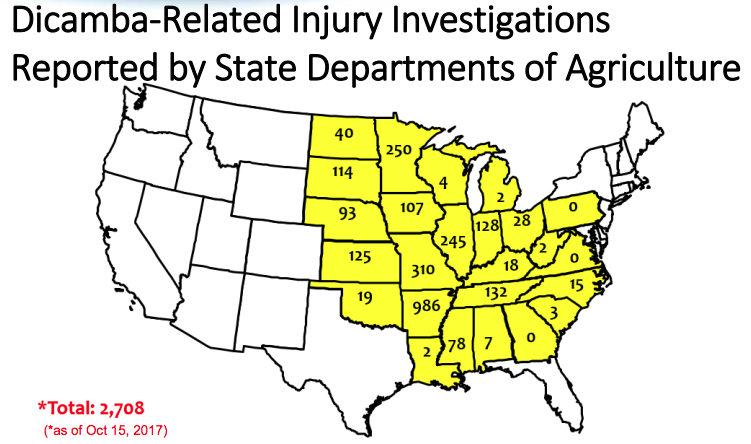 Children often help out around the family farm, which can lead to injuries. The National Children's Center for Rural and Agricultural Health and Safety has published a handy printable checklist for parents to help keep kids safe on the farm. Find it here. In the wake of recent school shootings, the idea of allowing teachers to carry firearms has gained steam, thanks largely to President Trump, whose Feb. 22 remarks "closely mimicked a speech" delivered earlier that day by National Rifle Association president Wayne LaPierre, writes James Hohmann of The Washington Post. He did likewise in a speech Friday to the Conservative Political Action Committee conference. In Butler County, Ohio, just north of Cincinnati, Sheriff Richard Jones says he will offer a free concealed-carry gun class to teachers, as well as training on school shootings, Sarah Hager reports for the Cincinnati Enquirer. The idea has appeal in rural areas, where many teachers and parents are gun owners, but there are many obstacles to turning teachers into guards. Many gun-violence experts, educators and school safety advocates have panned the idea. David Hemenway, a professor of health policy at the Harvard School of Public Health and an expert on the public-health impact of gun violence, said "It's a crazy proposal" and some teacher with firearms training would likely injure an innocent student by accident, Elizabeth Chuck and Corky Siemaszko report for NBC News. Teachers may also injure themselves with an improperly secured firearm. That happened recently when a Utah elementary school teacher, who had a legal permit to carry a firearm in school, accidentally shot herself in the leg while she was in a faculty bathroom. No students were injured. Another factor not often considered: arming teachers could cause schools' liability insurers to either raise rates sky-high or cancel policies entirely. When Kansas made it legal for teachers to carry firearms in 2013, the liability insurance provider for 90 percent of the state's school districts decreed that any school permitting employees to carry concealed handguns would be denied coverage, Steven Yaccino reports for The New York Times. "President Donald Trump has called a meeting early next week with key senators and Cabinet officials to discuss potential changes to biofuels policy, which is coming under increasing pressure after a Pennsylvania refiner blamed the regulation for its bankruptcy, according to four sources familiar with the matter," Jarrett Renshaw reports for Reuters. The question of how much ethanol and other biofuels to include in the nation's fuel supply is a political minefield for Trump, whose Republican allies hail from oil-producing states and corn-producing states. The Environmental Protection Agency had proposed rolling back the biofuels requirement in the Renewable Fuel Standard last year, but faced intense scrutiny from corn-state Republicans. The compromise left the conventional renewable biofuels levels as-is, which displeased both oil states and corn states (the fact that neither side was happy was, as Dino Grandoni of The Washington Post noted, probably a sign that it was a good compromise). Next week's meeting is an important sign because "in Congress and the administration, we're seeing the most action in years on efforts to end the longstanding stalemate on biofuels policy," Ben Geman reports for Axios. The U.S. Department of Agriculture has launched a website with resources to help rural communities fight the opioid epidemic. The website is one result of the recommendations presented to President Trump last month by the Interagency Task Force on Agriculture and Rural Prosperity, which he had asked to identify legislative, regulatory and policy changes to help rural America. It recommended, among other things, modernizing and improving health-care access. The website includes links to three programs it says will help fight the opioid crisis: the Community Facilities Loan and Grant Program, which awards loans and grants that can be used to build or fix up important community facilities like hospitals, mental health clinics, and more; the Distance Learning & Telemedicine Grants Program, which awards grants that can be used to buy and install broadband equipment used for telemedicine; and the Rural Health and Safety Education Competitive Grants Program, which awards grants for projects to develop or implement health education programs. The website also showcases three health care facilities around the country that are employing best practices for helping combat the opioid crisis, as well as links to a slew of relevant federal programs in different departments. 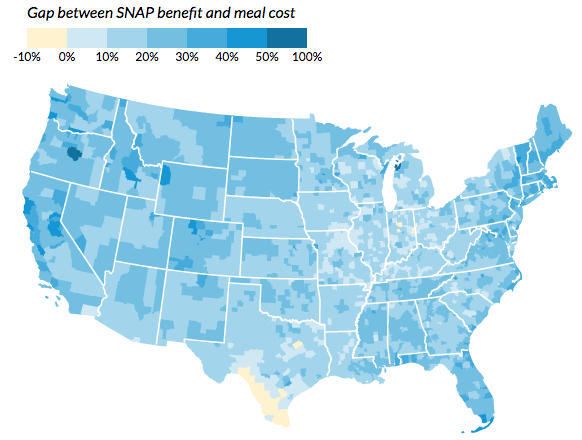 SNAP benefits don't cover food expenses for the poorest in most counties; how does your county stack up? Urban Institute map; click on the image to enlarge, or see the interactive map here. An Urban Institute study released this week found that, in 99 percent of U.S. counties, food-stamp benefits are not enough to cover the full cost of an inexpensive meal, even for those who have no net income. In President Trump's proposed 2019 budget, the Supplemental Nutrition Assistance Program would lose $213 billion in funding over the next decade. "The average cost of a low-income meal, which is defined as part of the study, was $2.36. That cost is 27 percent higher than the maximum SNAP benefit per meal of $1.86," Bill Lucia reports for Route Fifty. "Over the course of a month, benefits were shy of average meal costs by $46.50 per person." SNAP benefits aren't meant to cover the full cost of meals for a household except those that have no net income, usually because of a lifelong disability. But for those households, which totaled about 37 percent of SNAP recipients in fiscal year 2016, SNAP is the only way to pay for meals. The study found that the biggest gap between SNAP benefits and food prices were in expensive urban areas like San Francisco and smaller rural counties, some with tourist attractions. The report concludes that SNAP will be more effective if the government can better match up benefits to the local cost of food. The Department of Agriculture's Food and Nutrition Service, which oversees SNAP, told Lucia that the agency will review the study and consider its recommendations. This year marks the 13th anniversary of Sunshine Week, a celebration of access to public information and how it impacts your community. Led by the American Society of News Editors, this year's event runs from March 11-17. With public trust of the news media at an all-time low, Sunshine Week has never been more important. Major publications are working on a special reporting package free for anyone to publish in print or online. There's a full week of scheduled events you can participate in, starting March 9 with a free online discussion called "Sunshine Week 2018: Fighting for Transparency and Freedom of Information." ASNE has also published an idea bank with examples of "Bright Ideas" to inspire your coverage. "Rangelands are the dominant land type across the planet and millions of people rely on the natural goods and services and food security the lands provide. A recently released model, G-Range, allows scientists and policymakers to understand how changes in climate will potentially impact rangelands by running global simulations in a single process, rather than repeating hundreds or thousands of processes," Rob Novak reports for Colorado State University's public-relations office. 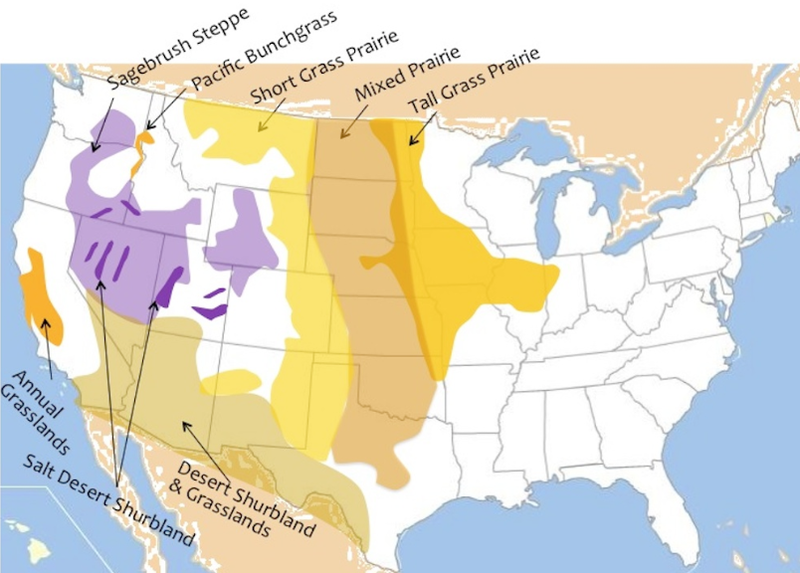 CSU researcher Rich Conant, who co-authored the study introducing G-Range, said it fills a critical gap in the current toolbox: "There are already a whole host of models for agricultural and forested systems, but grazing lands often fall between those things . . . G-Range is an important step to assess environmental issues in those systems that so many people are dependent on." G-Range is based on an existing model called Century, which was also developed at CSU's Natural Resource Ecology Laboratory. It will soon be available to anyone who wants to use it as an open-source system. SPLC map; click on the image to enlarge it, or click here to view the interactive version. 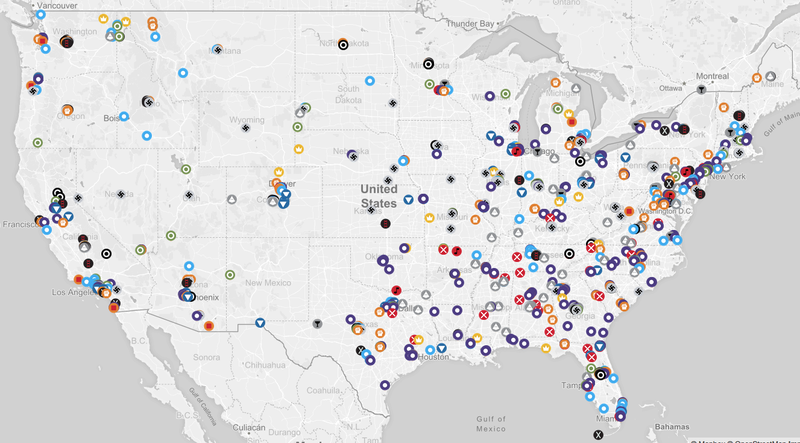 The Southern Poverty Law Center has updated its Hate Map, an interactive map of hate groups in the United States, along with an analysis of hate group activity in 2017. SPLC identified 954 hate groups in the U.S. targeting one or several of the following populations: immigrants, minorities, Caucasians, the LGBTQ community, Muslims, Jews, women, and more. In an accompanying story, the SPLC says 2017 "was a year that saw the “alt-right,” the latest incarnation of white supremacy, break through the firewall that for decades kept overt racists largely out of the political and media mainstream." These groups usually rise during Democratic presidencies because of fears about gun control and federal action against them, but the total number of hate groups in the U.S. rose 4 percent from 2016. White supremacists felt emboldened because Trump appointed Steve Bannon as an adviser, SPLC says. Bannon boasted that his website, Breitbart News, was the platform of the alt-right movement. After the white-supremacist rally in Charlottesville, Va., former Ku Klux Klan leader David Duke said the rally was a "turning point" and promised that white supremacists would "fulfill the promises of Donald Trump" to "take our country back," SPLC writes. KKK groups fell from 130 to 72, but other white supremacist groups grew, which SPLC writes is a "clear indication that the new generation of white suprem­acists is rejecting the Klan’s hoods and robes for the hipper image of the more loosely organized alt-right movement." Black nationalist groups grew from 193 in 2016 to 233 in 2017, but lag far behind the more than 600 white supremacist groups and have far less mainstream political influence. Anti-Muslim groups grew for the third straight year in a row, and the anti-government movement is surging, with 689 active groups in 2017 compared to 623 in 2016. Of those, 273 were armed militias, SPLC says. President Trump's proposed 2019 budget calls for eliminating 14 environmental programs that focus on conservation, climate change and sustainable practices, some of which would impact rural areas, John Platt reports for Reader Supported News. One is the Abandoned Mine Land Grants program, which helps clean and redevelop former coal mines. The $105 million budget for this program comes from fees paid by coal operators on each ton mined. Senate Majority Leader Mitch McConnell of Kentucky will likely defend the AML, so it's unlikely to be eliminated. Another program slated for removal is the U.S. Department of Agriculture's Rural Business-Cooperative Service, which provides financial, technical and educational support for rural entrepreneurs to start and grow businesses in the agriculture and outdoor recreation industries, especially those that employ sustainable practices or use renewable energy. The service, which has a $103 million budget, also seeks to increase access to rural broadband. The Low Income Home Energy Assistance Program is also on the chopping block again. Trump tried to kill the popular program last year because he said it was rife with fraud and abuse, but encountered resistance from Congress. In October he released nearly $3 billion, or 90 percent of its funding. The program provides assistance for heating bills for poor families via grants to utilities, and has a budget of $3.39 billion. The Chemical Safety Board would be eliminated, to the tune of $11 million. It investigates major industrial accidents, such as the 2014 chemical spill that tainted drinking water in West Virginia, or the explosion at a natural gas well in Oklahoma this January. The deadline for entries in the Sigma Delta Chi Awards, which have categories won in the past by journalists in non-metropolitan news media, has been extended to 11:59 p.m. Monday, Feb. 26. In the contest, newspapers have a division for those with circulations under 50,000; last year the public-service prize was captured by Jonathan Austin, then of the Virgin Islands Daily News, for an expose' on official travel, and Sarah Butrymowicz and Jackie Mader of The Hechinger Report, an education news site, won for investigative reporting in the division for a series on child care in Mississippi. Several rural-oriented reports won Sigma Delta Chi awards in broadcasting, which has a division for smaller markets. Alabama Public Radio won for a series on justice and prison reform, and North Country Public Radio in upstate New York won for public service in radio journalism for a series on a murder and its investigation. The awards are sponsored by the Society of Professional Journalists and its Sigma Delta Chi Foundation. For information, click here. The best obituaries tell readers how a life was lived and why it mattered. 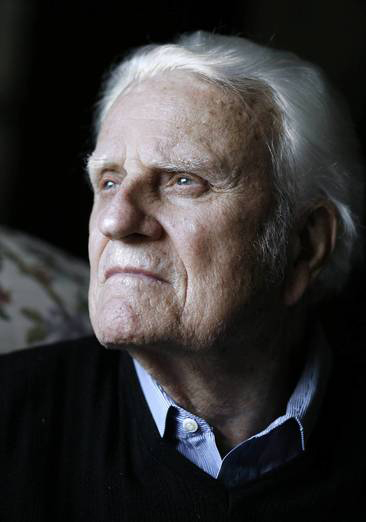 For Billy Graham, who died this morning at 99, in his home on a North Carolina mountain, two good ones are from The Charlotte Observer, his hometown paper, and the Star Tribune in Minneapolis, where the Billy Graham Evangelistic Association was based for more than 50 years, until 2004. "Growing up on a dairy farm" at what was then the south edge of Charlotte, "Graham’s first idea of heaven was playing baseball and courting girls," the Observer's Tim Funk writes, with help from former religion editor Ken Garfield. "But after answering the altar call at a revival during the Depression, he went on to become a pastor to U.S. presidents and a globe-trotting preacher whose crusades altered lives." The StarTrib cobbled together an obit written largely by former staff writer Martha Sawyer Allen with updates from current staffers and The Associated Press. It says Graham "took that peculiarly historic American theological concept — decision theology, honed by fire-breathing circuit-riding preachers — and made it palatable in the middle-class, suburban America of the 1950s." From the StarTrib: "Graham walked that narrowest of American cultural lines, right down the middle between religious liberals and conservatives. He brought Christian evangelism into the mainstream of American political and social consciousness, yet was scolded by many conservatives for being too liberal." But he "refused to speak to racially segregated crowds," Funk notes, and that began in 1953, before the civil-rights movement really began. Graham's portfolio included journalism; he was a founder of Christianity Today, a conservative magazine "that enjoys praise from liberals," the StarTrib notes. "It was started as a counter to the Christian Century, which had been started in 1900 by America’s Protestant mainstream theologians." The magazine released a special issue on Graham, with an article by Duke Divinity School's Lauren Winner on his rural youth. Graham also left a rural legacy, at Wheaton College in suburban Chicago, where he earned an anthropology degree in 1943 and then pastored a suburban church. The school has a Billy Graham Center with a Rural Matters Institute, which says "There is an emerging movement to plant churches in rural areas. As more people and resources move to urban settings, the rural heartland has gradually become under-resourced, overlooked, and often forgotten. . . . Rural church-planting strategies are markedly different from strategies in any other context. RMI was created to provide support, learning, and community for those working in non-urban contexts in North America." "Graham would most likely have never become the leading spokesman for postwar American evangelicalism had he not passed through Wheaton," which broadened his world view, Steven P. Miller writes in the book Billy Graham and the Rise of the Republican South. The Star Trib says, "He never changed his message, but he often tempered it to his audience. In the Upper Midwest, he talked of salvation but also of grace." Prominent Virginia legislator Terry Kilgore, chairman of the House Commerce and Labor Committee, said last week that he supports Medicaid expansion because it will help the constituents in his struggling district in the state's far southwest corner. The Republican's change of mind could make it easier for other rural conservatives to follow suit, Laura Vozzella reports for The Washington Post. Kilgore's announcement comes only months after Democrats, many running on a health-care platform, almost obliterated Republicans' majority in the House. That may have helped convince Republicans to swing on the issue, but with a conservative twist: work requirements for able-bodied Medicaid recipients. Republicans in at least 10 states have supported Medicaid expansion with work requirements, and Kentucky and Indiana already received the greenlight from the White House. The Columbia Missourian reports that a bill in that state's legislature would impose work rules. Kilgore said he believes that Republicans' failure to repeal the Patient Protection and Affordable Care Act means it's not going away any time soon. 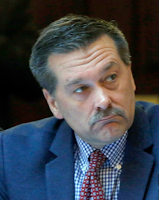 "They’ve kept Medicaid expansion in the [federal] budget," he told Vozzella. "So it’s time for Virginia to act. But we’ve got to act in the Virginia way." Civil Eats is kicking off a year-long series, the Rural Environment and Agriculture Project, about how our nation's food is raised and the rural Americans who do it. Rural America, Civil Eats says, is undergoing big changes; small farmers are struggling to stay on their land, more people are moving to the city, jobs are hard to come by, and businesses and hospitals are closing: And the cultural divide is growing too. "Our hope is that by reporting on these tensions in modern rural America and showcasing solutions where agriculture can help to revitalize communities, we will expand our readers’ awareness of the interdependence of American agriculture and food systems. Of course, we realize that many of these stories will raise challenges that don’t have immediate solutions. And we welcome you to join us on this journey and share your thoughts and ideas along the way." 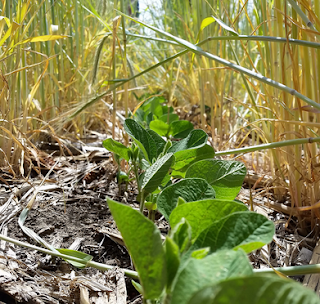 The first story in the series is about the longstanding move toward no-till farming, in which farmers plant seeds without breaking up the soil first. "According to the USDA’s latest data, by 2010-11, no-till farming had grown to the point where roughly 40 percent of the corn, soybean, wheat, and cotton grown per year in the U.S. used either no-till or a half-step technique called strip-tilling. That works out to around 89 million acres per year," Twilight Greenaway reports. The technique has been around for more than 50 years, since herbicides and precision planting tools made it feasible. Farmers traditionally embraced it as a way of improving yields or cutting costs, but now some are touting it as a way to improve the soil, retain water and organic matter, and sequester carbon. Some see it as a way to cut down on synthetic herbicides and fertilizers. At the recent No Till On the Plains conference, a fourth-generation farmer from Arkansas who has been using the no-till method for several years said, "I don’t need seed treatments for my cotton anymore. I’ve taken the insecticide off my soybeans. I’m working toward getting rid of fungicide … I’m hoping that eventually my soil will be healthy enough that I can get rid of all of it all together." Drug overdoses could take a bigger bite out of hospitals' bottom lines soon, thanks to the repeal of the Patient Protection and Affordable Care Act's individual mandate. Hospitals have been mostly insulated from the cost of treating overdoses because almost everyone had insurance. Now that the mandate has been repealed, patients without insurance will likely need to be treated for overdoses and won't be able to pay their bills. The rising cost of treating overdoses, and their increasing frequency, will likely exacerbate hospitals' financial woes, especially in rural areas where hospitals can barely afford to stay open. According to a 2017 study, "The average cost to treat overdose patients admitted to hospital intensive care units climbed from $58,517 in 2009 to $92,408 in 2015—a 58 percent hike," Kristen Schorsch reports for Modern Healthcare. And in Illinois alone, the steep rise in ER visits was mostly because of heroin. Addicts can be expensive patients for hospitals in other ways too. Opioids can trigger other health problems that require medical attention, such as accidents, or asthma flareups caused by heroin, which can reduce the number of breaths a person takes per minute. And an Illinois hospital reports that nearly 40 percent of the patients admitted for opioid-related conditions were readmitted soon afterward. "That's a problem for hospitals, too, because the federal government financially penalizes them if patients come back too quickly after they're discharged," Schorsch reports. Some rural hospitals may unintentionally contribute to addiction rates: a doctor may write a patient a prescription for a larger number of painkillers if she knows the patient lives far away and can't come back frequently to refill prescriptions. 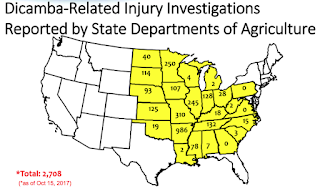 And rural residents tend to work in factories or on farms, where painful injuries are more likely. Infants born in rural America have a higher mortality rate than their urban and suburban counterparts, especially African-Americans, but a new study from the National Center for Health Statistics shows that urban infants are more likely to die from certain causes than rural infants. The five leading causes of infant death from 2005 to 2015 are congenital malformations, low birth weight, Sudden Infant Death Syndrome, maternal complications and unintentional injuries. 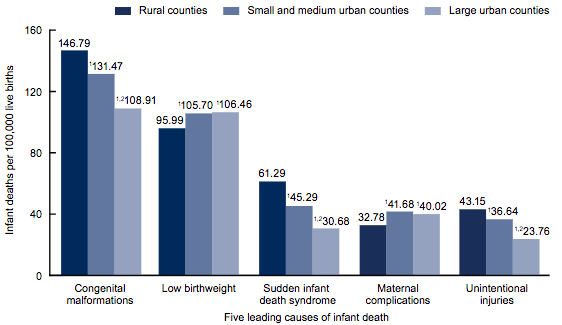 By studying data from the National Vital Statistics System from 2013 to 2015, researchers discovered that infant mortality rates for congenital malformations, SIDS and unintentional injuries were higher in rural areas, but rates for low birth weight and maternal complications were higher in urban areas. "While the purpose of the report was simply to document the numbers, study authors Danielle Ely and Donna Hoyert theorized that some of the gap 'could be related to differences in conditions during pregnancy.' Past research has shown that poverty, smoking and other maternal health behaviors during pregnancy and less access to care all can impact infant mortality," Ariana Eunjung Cha reports for The Washington Post. What's your favorite song tied to the news media? Ever heard one about a rural newspaper? Here's one. UPDATE, Feb. 26: Check out "Journalism Blues" by the Texas Center for Community Journalism. Asked to name their favorite song tied to newspapers or broadcasting, subscribers to "Connecting," the daily newsletter for Associated Press retirees and friends, had some good offerings, from the famous (the Beatles' "A Day in the Life") to the little known but neat ("Newspapermen Meet Such Interesting People," which Pete Seeger wrote in the 1940s. Another little-known song is my favorite, and my story about it begins at the Great Wall of China. Or, precisely, on the freeway back to Beijing. 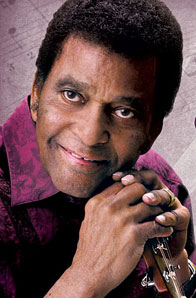 Our driver was playing CDs of American country music, and on came a 2011 song by Charley Pride, "Hickory Hollow Times and County News." I was flabbergasted. After 50 years in newspapers and associated trades, I had finally heard a song about a rural newspaper like those I started on and now serve. And I had to go to the Great Wall to do it. Pride, 78, wrote the song. He is from Quitman County in northwest Mississippi, home of the Quitman County Democrat. The lyrics are below; here's a link to them and the audio; however, be advised that the lyrics on that page contain errors; whoever transcribed them from the recording didn't quite appreciate Charley's accent. I have no problem with that; I grew up playing his records as a young disc jockey on WANY in Albany, Ky.
"Hickory Hollow Times And County News"
Opening up a letter from my best friend, Silas Blue. With a note that said he finally got his picture in the news. Raising money for the orphans, selling cookie and lemonade. Outside in the moonlight on the Moose Lodge patio. Holding hands in church reminds me of my old sweetheart, Betty Jo. Betty Jo, my high school sweetheart, the new Mrs. Blue! In the Hickory Hollow Times and County News. A bipartisan bill to make changes to the 2010 Dodd-Frank regulatory reform law could bring relief to small community banks. The law tightened rules on lending institutions in an effort to prevent another Great Recession. Supporters of the fix-it bill "argue that smaller financial institutions shouldn't have to face the same set of strict rules as behemoth Wall Street banks that could endanger the whole financial system if they go under. Top bank regulators all agree fixes should be made for community banks," Donna Borak reports for CNNMoney. "Main Street businesses and lenders tell me that they need some regulatory relief if we want jobs in rural America," Democratic Sen. Jon Tester of Montana said during a hearing on the bill in November. "These folks are not wearing slick suits in downtown New York or Boston. They are farmers, they are small business owners, they are first-time home buyers." The fix-it bill would raise the definition of a "too big to fail" bank from one that has $50 billion in assets to $250 billion, meaning more than two dozen midsize banks would be exempt from Dodd-Frank regulations. These banks would no longer have to hold as much capital to cover balance-sheet losses, wouldn't have to have plans in place to be safely dismantled if they fail, and would only have to take the Federal Reserve's bank health test once in a while instead of yearly. The bill was drafted by Republican Sen. Mike Crapo of Idaho, the chairman of the Senate Banking Committee, and is backed by 12 Democrats and 12 Republicans. It's a narrowly focused, moderate compromise that Crapo hammered out after years of bipartisan negotiations. The bill could be heard on the Senate floor as early as next week. The House would like to do more, but is expected to go along because the bill goes about as far as one can go and get the 60 votes needed for passage in the Senate. A new report by the U.S. Department of Agriculture's Economic Research Service says rural areas are more likely to have independent grocery stores than urban areas, and that those rural independent grocers were harder hit by the Great Recession than their urban counterparts. 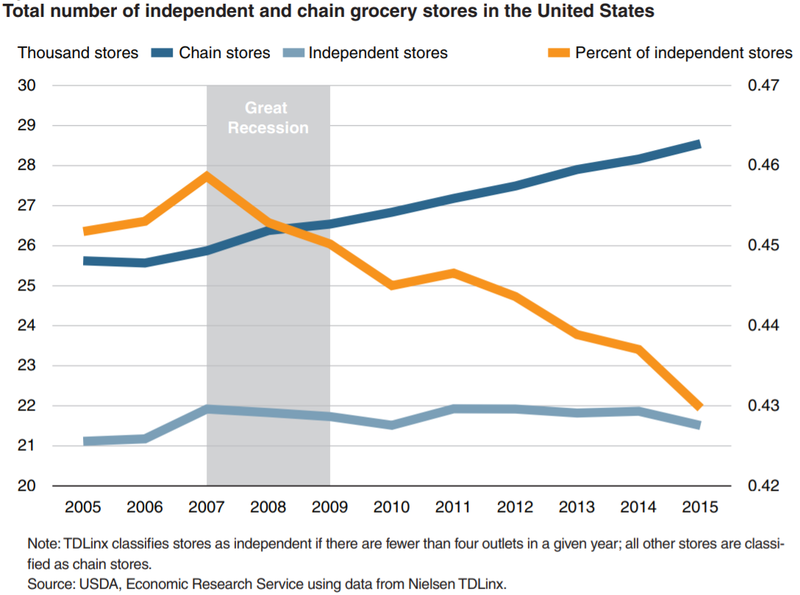 "At the onset of the recession, the number of independent grocery stores stagnated, causing the share of these grocery stores to decline through 2015, the report's abstract says. 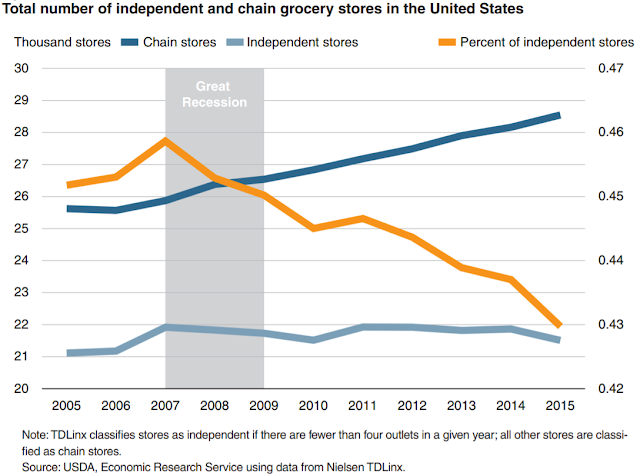 "Independent Grocery Stores in the Changing Landscape of the U.S. Food Retail Industry" studied the performance of independent grocers from 2005 to 2015. Independent grocers are defined as those that own and operate four or fewer retail food establishments, so they tend to be smaller in size and sales volume than corporate-owned or chain supermarkets, Bryce Oates reports for The Daily Yonder. Rural independent grocers are most prominent in Western, New England, and Great Plains states. Independent grocers altogether employ the equivalent of 330,000 full-time workers. 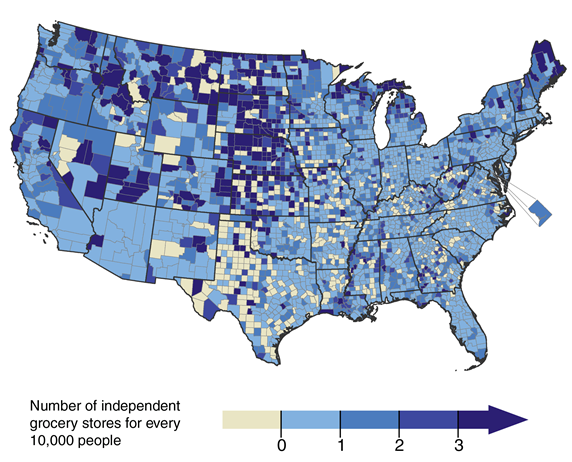 In rural counties that are not adjacent to a metropolitan county, independent grocers tend outnumber chain stores, but are small; independent-grocer sales only account for 18 percent of all food retail sales in these counties. In rural counties adjacent to metropolitan counties, independent grocers account for 16 percent of retail food sales, and only 10 percent in metropolitan counties. The counties with the most independent grocers per person tend to be poorer and have more African-American, Hispanic and Latino populations. Grocers with a higher percentage of sales from USDA's Supplemental Nutrition Assistance Program (food stamp) redemptions are more likely to be independent, especially in rural areas. The Great Recession hurt rural independent grocers more than metropolitan ones, especially in the rural West. Rural independent grocers in Great Plains states were hurt the least. "The cost of preventing power-line wildfires could rise so high that California’s top utility regulator recently suggested a new way to pay for it — charge residents of high-risk areas more money for electricity," David Baker reports for the San Francisco Chronicle. "Michael Picker, president of the California Public Utilities Commission, floated the idea during a Jan. 31 meeting on fire safety for utility companies. With more Californians moving into rural areas prone to fires, he questioned the fairness of forcing all utility customers to pay the costs of preventing rural wildfires sparked by utility lines." Though state investigators haven't figured out what caused last year's fires, power lines tossed about in harsh winds are a likely culprit. Such fires have repeatedly ravaged California, but it's expensive to preventing them with measures like tree trimming or burying lines underground. Picker said it's unfair to charge everyone for upgrading and protecting the grid in areas that only a few residents would benefit from. Read more here. 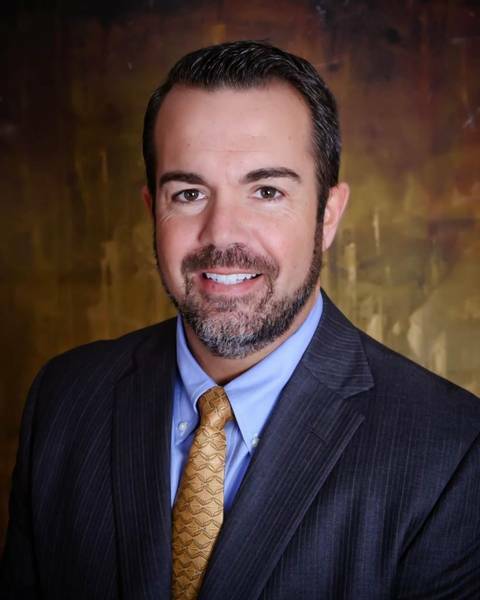 In the wake of school shootings in Parkland, Fla., and Benton, Ky., an attorney from southeastern Kentucky is inspiring Kentuckians to donate money to put metal detectors and other protective equipment in the state's schools. "Shane Romines initially offered — via a Friday Facebook post — $25,000 from his Copeland & Romines Law Office in Corbin to buy metal detectors and other equipment for each of the five schools in the Corbin Independent Schools district. He encouraged others to donate in that district or others," Valarie Honeycutt Spears reports for the Lexington Herald-Leader in Kentucky. "As of Monday, about $75,000 had been pledged so far for metal detectors; other equipment, such as Tasers or guns for resource officers or school staff; and training in several districts — if school leaders agree, Romines said. Knox County was the first to accept donations for detectors it plans to install." Romines, who has two children attending Corbin Independent Schools, said he's willing to fund firearms for school staff to carry firearms if schools are interested. Under current state and federal law in Kentucky, school board members can contract with a teacher or other school staff member to allow them to carry a firearm on school grounds. Some school districts haven't decided whether they'll take the metal detectors. The superintendent of Corbin Independent Schools said the school board is weight whether to accept the donations. "At least one district and school board — for the 2nd largest district in the state — balked at adding detectors," Honeycutt Spears reports. "Fayette County Public Schools officials studied the possibility of installing metal detectors after weapons were found at schools. But they said in October that it wasn’t feasible or desirable to have hundreds of students each day passing through metal detectors." The question of metal detectors is particularly salient after a rash of copycat threats made to schools in the aftermath of the recent shootings, in Kentucky and other states such as Indiana, Wisconsin, Florida, and New York. "An Arkansas judge on Friday dismissed a Monsanto Co. lawsuit aiming to stop Arkansas from blocking the use of a controversial farm chemical the company makes, dealing a blow to its attempts to increase sales of genetically engineered seeds," Tom Polansek reports for Reuters. University of Missouri map; click on the image to enlarge it. After receiving nearly 1,000 complaints about dicamba damage to crops, on July 7 the Arkansas Legislative Council approved the state Plant Board's proposal to ban applications of dicamba from April 16 through Oct. 31. Dicamba tends to vaporize after being sprayed on crops and drifts into other fields; the herbicide damaged more than 3.6 million acres of soybeans in the U.S. in 2017. Monsanto's suit alleges that the ban hurt the company's ability to sell dicamba-tolerant seed in Arkansas and caused "irreparable harm" to the company, since the ban did not extend to products by other companies such as DuPont Inc. or BASF. But Pulaski County Circuit Judge Chris Piazza ruled against Monsanto, citing a recent state Supreme Court decision that the state cannot be made a defendant in court. Meanwhile, Monsanto is on the defensive from several dicamba-related lawsuits: one alleging that the company essentially forced farmers to buy its dicamba-resistant seeds, and several that allege crop damage because of the chamical. Gun laws and immigration reform are contentious issues in Congress, and they're not going away any time soon. "Both issues illuminate the central divide between the parties as their political coalitions have sorted and separated along lines of race, generation, education, and geography," Ron Brownstein writes for The Atlantic. "On both matters, Republicans are championing primarily non-urban and predominantly white constituencies that want fewer immigrants and more access to guns. Democrats reflect a mirror-image consensus: Their voters coming from diverse urban areas usually support more immigrants and fewer guns." Despite the differences in party platforms, most Americans seem to have found common ground: a Pew Research Center poll from last summer found that 84 percent of adults support background checks for all gun purchases, and 68 percent said they support a ban on assault weapons. And depending on the poll, up to 85 percent of Americans say they support legal status for the so-called Dreamers, who were brought to the country illegally as children. Three-fifths of Americans in an ABC/Washington Post poll last fall said they opposed building a border wall with Mexico, but two-thirds said they would accept a legislative deal that coupled protection for Dreamers with increased border security spending. The key to this disconnect between popular opinion and party action lies in the "intertwined cultural, demographic, and economic divide now separating urban and non-urban America—and how closely the nation’s partisan split follows the contours of that larger separation," Brownstein reports. Republicans represent what he calls "'a coalition of restoration' centered on the older, blue-collar, evangelical, and non-urban whites most uneasy about the tectonic cultural and economic forces reshaping American life. That means that compared with the nation overall, most Republicans are representing areas with more guns and fewer immigrants." Democrats represent a nearly opposite constituency Brownstein calls a "'coalition of transformation': minorities, Millennials, and college-educated and secular white voters, especially women" with only one-fifth who say they own guns. Brownstein advises readers to get used to the feuding between the two parties, because the socio-political distance between them seems likely to grow only wider. Here's a worthy read: a three-part series by Kayla Lasure of the twice-weekly Watauga Democrat in the northwest corner of North Carolina, delving homelessness in a seven-county region that has the second-highest rate of homelessness in the state: Alleghany, Ashe, Avery, Mitchell, Watauga, Wilkes and Yancey counties. A 2017 count documented 466 homeless in the region, about 70 percent of them unsheltered. Another 69 who were placed in permanent and rapid rehousing weren't part of the homeless count, Lasure reports in her first story. Several community members told Laysure they want to erase the stigma of being homeless; Todd Carter, the director of the area's homeless shelter, the Hospitality House, told her that many of the residents are judged for listing the shelter as their address. But many don't realize that 63 percent of shelter residents "recently went through some form of trauma. This wasn’t counting any trauma the person had experienced in the past or in childhood," Lasure reports. Hospitality House Executive Director Tina Krause told her: "We're not just a homeless shelter; we're a trauma center providing critical care." Krause said that most weeks, at least one client acts on a suicidal thought, and that there were six suicide attempts on site in one week last winter, and one client died off site. The McKinneys with their newborn son Liam. Amanda McKinney, who are rebuilding their lives after years of homelessness, jail and drug abuse. After Amanda was released, she had a hard time affording a place to live because no one would hire her with her criminal history. After living at the Hospitality House for three months and sending out 42 job applications, she finally landed a job, but didn't tell her employer where she lived until she had proved her work ethic. Justin's story began similarly: While deployed in the Air Force, he broke his back in an explosion and needed surgery. He became addicted to the opioids he was prescribed, and said the withdrawal was so painful that he began using methamphetamines to cope. He also had difficulty finding work or housing after his release, which led to Hospitality House. 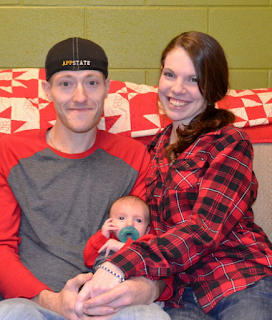 The couple told Lasure they had little in the way of support from family or friends because of their addictions. "When you’re in an addiction, you push a lot of people away, and people distance themselves from you," Justin told Lasure. "You do a lot of things during an addiction you wouldn’t normally do. You crush your own support system." In her third story of the series, Lasure profiles a Watauga County sheriff's sergeant's efforts to change the way other law-enforcement officials view the homeless community. "Sgt. Casey Miller is a member of the Sheriff’s Office Problem-Oriented Policing Squad . . . a call-based group that can concentrate on community issues that regular patrol deputies wouldn’t have the time to focus on. These issues consist of places with common reports of speeding or drug activity," Lasure reports. Sheriff Len Hagaman told Miller that neighbors of Hospitality House were complaining that shelter residents were trespassing on their property, loitering, dealing drugs, and leaving trash. Miller met with area leaders and listened to their concerns, then investigated. It turned out that Hospitality House residents weren't the culprits: about 15 people who lived in the community were preying on the residents, trying to sell them drugs, get money from them or steal their belongings. The 15 were ordered to stay away; three were later caught and charged with trespassing. Miller told Lasure that the issue caused him to think differently about the homeless, especially when he learned that 96 percent of Hospitality House's clients reported at least one instance of trauma in the past year. He says he now checks up on residents and tries to get to know them. "What people don’t understand they tend to try to avoid," Miller told Lasure. Officers "don’t think bad of homeless people; they can’t wrap their head around why they can’t just go out and get a job and a house. It’s not always that simple." Big news outlets were largely blindsided by the 2016 presidential election, partly because their mostly urban journalists sought commentary from the same pundits we've all heard from for years and didn't spend enough time in rural America. They missed the rising disenchantment of small-town and rural voters that helped propel Donald Trump into the Oval Office. That's why Community Newspaper Holdings Inc. is launching a three-year project called "The Pulse of the Voters." Most CNHI papers are in smaller cities, many outside metropolitan areas, which puts them in a good posture to find out what non-metro voters think about the issues. Starting in March, about 100 participating papers will sit down with voters every few months and find out what they think "to a level that can't be covered in a poll or survey," reports CHNI's Herald-Banner, a daily newspaper in Greenville, Texas. Some questions they'll ask include: "What are the issues that concern you the most? Jobs . . . education . . . health care . . . affordable housing . . . national security . . . immigration . . . race relations. How has life changed for you – or not – since President Trump entered the White House? We want to listen to your voice on whether you approve or disprove of Trump’s job performance, of Congress and the national political divide between Republicans and Democrats. Why do you feel this way?" reports The Morehead News, a CNHI thrice-weekly in Kentucky. "No matter your political ideology, gender, race, religion or economic status, no matter whether you live in the city or in the country, we would like to listen to your concerns and help amplify your voice as candidates ask for your trust to shape policies locally," Dave Bohrer writes for The Meridian Star, a CNHI daily in Mississippi. CNHI papers will share notes with each other and produce regional and national stories. The project is scheduled to run through 2020. CHNI was recently acquired by Raycom Media, a broadcaster. Responding to complaints from legislators and health-care providers, insurer Anthem has added several exceptions to its recently established policy of not paying for emergency-room visits if it determines there was no emergency. The policy first took effect in Kentucky, Missouri and Georgia; "Ohio, Indiana and New Hampshire were added to the program in January, after the new exceptions were already in place," Leslie Small reports for FierceHealthcare. "Anthem said the changes went into effect Jan. 1," Shelby Livingston reports for Modern Healthcare. "It will apply the exceptions to any previously denied claims." Small reports, "Anthem’s program was meant to deter members from using the emergency room for illnesses or injuries that aren’t life-threatening. But critics say patients shouldn’t be forced to self-diagnose, warning that the new policies will encourage people to avoid seeking care for serious medical conditions out of fear that their claim will be denied." Shannon Muchmore reports for HealthcareDive, "Anthem has said its program denies a small percentage of claims, but the change in policy signals the payer may be worried about the backlash, including from patients who have gone public with denied claims."